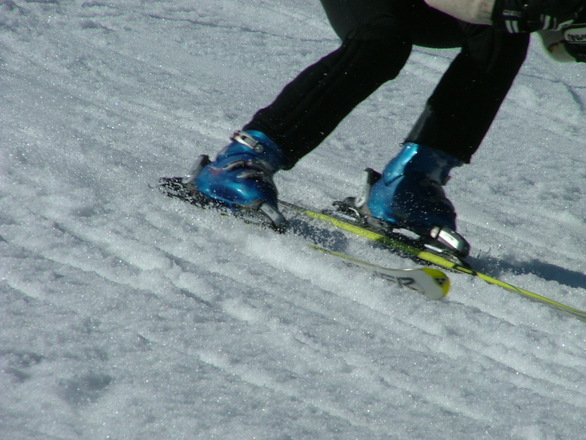 Skiing and snowboarding are very popular in Massachusetts and throughout the greater New England area. There will be many people hitting the slopes each weekend until there is no snow left on the ground. While this can be a great deal of fun, it can also be dangerous. In some cases, the ski area will be liable for any injuries or deaths that occur on the mountain. According to a recent news article from People, a 10-year-old girl was killed while she was in the middle of taking a ski lesson. Her mother said that while her child was skiing in the lesson, she lost control and crashed into a tree on New Year’s Day. This crash resulted in severe head injury that soon proved fatal. Following the accident, she was rushed to a local level-one trauma center where she was treated for what doctors described as a closed head wound.She was admitted on a Sunday and was pronounced dead the following Tuesday. Doctors did everything they could to save her, but ultimately her injuries proved too severe, and there was nothing was else they could to do to keep her alive. She was wearing a helmet at the time of the accident, but authorities have said force of the impact was too great, and her helmet actually cracked. At this time of this fatal ski area accident, she was on an intermediate difficulty slope and was rated as a level four skier, which means that she was not supposed to have any difficulty on a trail of this type. However, it is believed that she caught an edge, which happens from time to time, and that is what caused her to lose control. She was in the class with a few other students who where all there at the time of the accident. When ski patrollers reached her, she was still alive, but she was not conscious. She was taken down the mountain in a first aid sled and then taken to an area designated for medical personnel to arrive via ambulance or Medevac helicopter. It should be noted that there has not been any formal accusation that the ski area or the manufacturer of the ski helmet was in any way negligent in connection with this fatal accident. As our Boston personal injury attorneys have seen in various cases, there are always questions when someone is wearing a helmet and still suffers a head injury. The first thing to keep in mind is that a helmet is designed to prevent a head injury under certain conditions for which it is rated, but it will not prevent a head injury in every case. This is true for ski helmets, motorcycle helmets, or any other type of commercially produced helmet. Ski helmets, for example, are typically rated to prevent a head injury when the skier is traveling at less than 13 mph. They are also designed to prevent injury when someone falls on the snow or ice. They are not rated to prevent a head injury when someone hits a tree at 30 mph.